Last week I had my final intratympanic steroid injection. I’m glad that’s over as neither me nor my family enjoyed travelling an hour to hospital to sit there and wait for 5-6 hours each time. It was exhausting and it’s not exactly a comfortable thing to have a needle pushed all the way through your ear drum, squirting liquid into a place that it doesn’t normally go. But I’m pleased to say that it was all worth it because it lifted the hearing in my right ear. Yippee. Its not as good as it was 3 weeks ago but its good enough now for my hearing aids to work again. I pray with every cell in my body that it will stay up. It was a real blow to experience a further deterioration of my hearing and I was struggling to cope with the prospect of living with such little hearing in only one ear. Its hard to have faith or to be positive when things get worse like that. The prospect of living with no hearing at all is just too terrible to even imagine. So this week I have been feeling quite happy. I’ve been focusing on getting help from wherever I can find it and so have been knocking on lots of doors. Here are some of the places I suggest you check out to get the help you are entitled to. I also have a links page here where I add resources. Social Services visited me to assess my needs. Christmas came early and I was given a range of devices to help me. These included a hard of hearing telephone; a radio-link device which plugs into the TV and transmits the sound through a loop system into my hearing aids; and I could have had a doorbell and some other gadgets. He is also sending the most finest looking fireman available, to come round and cheer me up with a deaf smoke alarm. This is exactly what I need to bring a little smile to my very ordinary, home bound, limping days! The alarm will be linked to a vibrating pad which will go under my pillow. The deaf/hard of hearing alarm clock also comes with a vibrating pad. I’m not really looking forward to having to rely on so many gadgets for everything and its not quite how I want to be woken up every morning – being shaken not stirred, but nice to be given these things to help me. I’ve been registered disabled and been given a concessionary bus pass. This was not a happy day. Visions of myself driving my lovely mX5 with the hood down, in the sun with the music blaring, singing loudly, are replaced by images of me hobbling on and off a bus, looking at the ground and leaning on my walking stick. Its too sad and I just cant think about life being like this. Even if I drive again I cant imagine driving in silence without my music and my singing. I’m going to change the subject now because that is just too sad for me and I want to keep positive. Deafened people are also also entitled to a discount on rail travel (UK). It costs GBP 20 a year and gives 1/3 of rail travel. 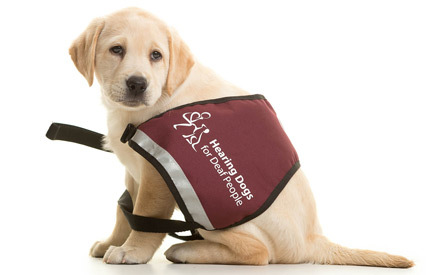 I have applied for a hearing dog and await the second stage of the application process. I will write more about that in another post but suffice to say I would love to have the companionship and hearing support of a little fluffy friend. Fingers crossed. I’ve seen a hearing therapist at my local audiology department. Its a shame because I had also been offered hearing therapy at the Royal Ear, Nose and Throat Hospital in London, but since it was so far to go by myself I decided to just go to the local appointment. What a total joke it is that this is how our health system supports people in crises. I came into the session and communicated to her the sever impacts that my tinnitus and sudden hearing loss have had on my life. After more than an hour of her asking me questions from about 6 different questionnaires, the ‘therapy’ part was to explain the structure of the ear, how tinnitus works, the frequencies of my hearing loss, and then tell me I should carry on doing what I’m already doing to cope (i.e. meditating/relaxing). I wasn’t very happy with the help I was given. Its like the medical establishment have no real understanding or compassion for tthge difficulties of hearing loss and tinnitus. She gave me a pillow speaker so I can play nature sounds into my ears as I sleep. I’m not sure how I’ll hear anything without my hearing aids in but if it works this is going to be a great way to deliver my hypnotherapy. My neuro-otologist has referred me for Hearing Therapy at the Royal Ear Nose and Throat Hospital, because she says they have a better grasp of Hearing issues than most hospitals and the treatment is the best available…. Hearing therapists work with adults who have hearing loss and associated disorders, such as tinnitus and hyperacusis, and other forms of hypersensitivity. We offer counselling to help with the psychological and emotional effects of audiological problems, as well as providing help and advice on practical solutions. The Jewish Deaf Association were certainly sympathetic but were limited in the actual support they could provide to me. The lady there made some phone-calls to other charities in search of additional support; showed me a wide range of deaf equipment and made tips and suggestions. Although they don’t normally give out equipment, they gave me a piece of equipment which had been donated to them. This will help me to hear people in noisy situations. So I have lots of extra equipment this week which I’m now trying to get my head round how to integrate it all together in practice. Mostly I’m looking into the GM Resounds Made for iPhone hearing aids. These hearing aids are attractive because they can be controlled via your mobile phone without needing a streamer device (which I’m not keen on always wearing round my neck). The Resound aids also provide more user control of things like microphone direction and radius, base and treble. Though it still seems in my case that I would still need all the accessories to get the best out of them. I’ll be talking to GM Resound soon. If you use them please let me know how they work for you as I could really use some user reviews and feedback – especially for those with android phones. I’m so appreciative of everyone’s generosity in providing this equipment to me and grateful that these technologies exist at all. Naturally however, I don’t want a house full of equipment, I just want my sacred, god-given, holy hearing ears back. I want to be able to communicate normally without needing a device. I can’t say there is much noticeable difference in my oscillopsia or dizziness since doing VRT for the past 3 weeks. My vision is still bouncing and I still put my feet down wrong, fall sideways as I walk and have to constantly look at the ground. I’ll be seeing my physiotherapist again this week so hope that she will help me make a bit more progress. I was very fortunate to bump into (not literally) another lady who lives in my area who had Labyrinthitus last year and is 95% recovered now. We’ve been meeting up and she has been giving me lots of tips, advice and support. 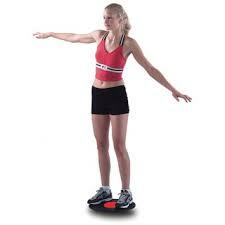 One of which is to get a balance board (already on order). I’ve never used one of these before but she said it really helped her; that at first she couldn’t stand on it but gradually she was able to do more and more. If you have a Nintendo Wii Fit there are games and exercises you can do using the balance board that comes with it. So anyway this lady did her VRT religiously and made massive progress in just 3 months. Although I may have worse vestibular damage I am holding this in my mind as a possibility and am going to be more disciplined in my VRT schedule. Best wishes to everyone else on this dizzy and/or deaf journey. Please keep in touch, its good for us all to stay in touch with others who understand.